Every year since 1974 I place my oldest and most expensive ornament at the top of the Christmas tree. The ornament has survived dozens of curious children and our cat, Tinkerbell, who thought the tree should be nestled under and climbed. 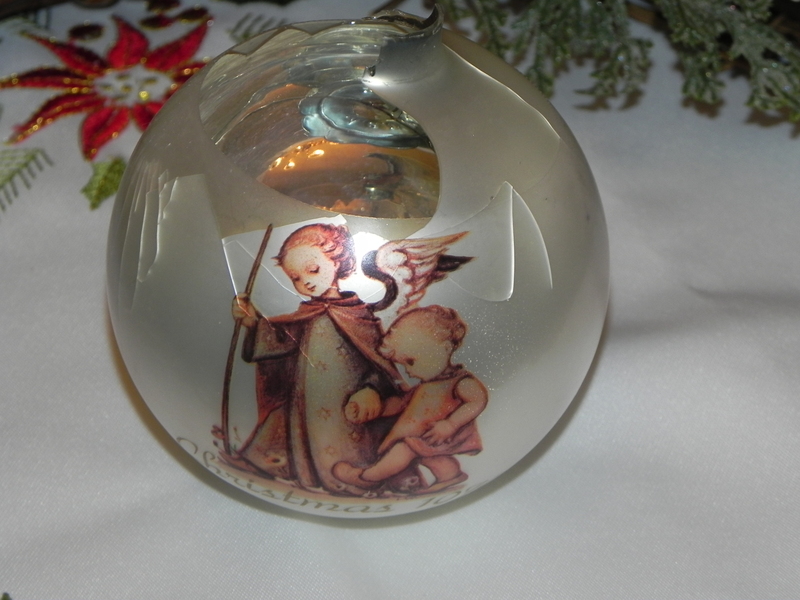 This year I watched the beautiful Hummel slip from my hands and shatter on the floor. I feel badly about the loss but know that for everything there is a season, and I guess that ornament’s season has ended. As much as I loved the ornament, it certainly was not my most valuable one. Our tree is decorated with the story of our lives. 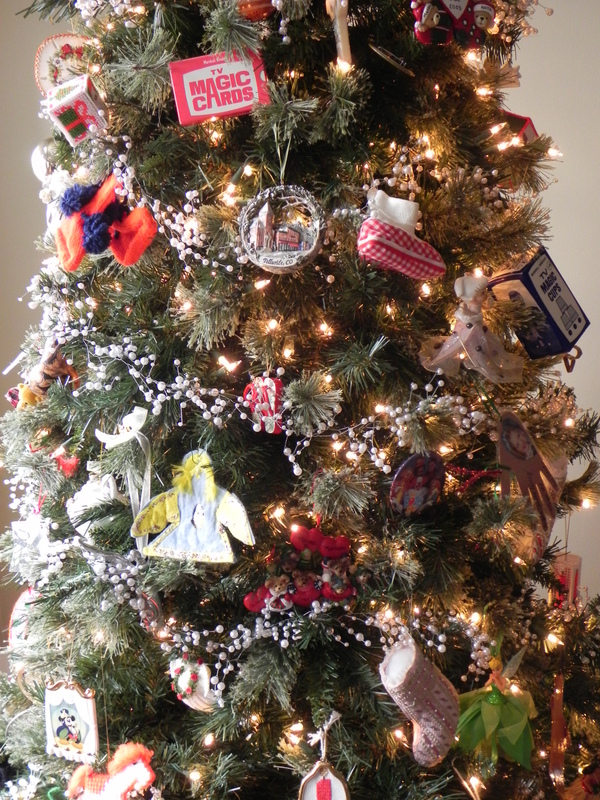 Many ornaments were handmade by my mother, me, and my adult children when they were little. We have ornaments from our travels, special events, and other friends and family as well as my parents’ favorites. We also have objects like baby booties, rattles, and TV Magic Cards from memorable moments in time. The holidays are most meaningful when marked with tradition. The music or movie played while decorating, the foods enjoyed throughout the season, and the placement of special decorations mark our holidays and the years. Please tell me what makes your season special. I’d love to hear from you. Like your tree, ours is filled with special decorations. Most of our decorations are craft projects my children have completed over the years, everything from hand-painted ceramic treasures to felt angels and popsicle reindeer. I have the same and love them all! Oh, so sad about the ornament! My mum has a lot of decorations from when we were kids that I insist she puts on the tree every year (despite the fact that we’re very into the themed Christmas). One is a little donkey made of polystyrene that’s painted and has a little fabric saddle and reigns on it. The donkey has sported a ring of tape around his middle for almost as long as I can remember, but I smile every year when I put him on the tree, so he goes on (hidden behind whatever colour scheme we’ve chosen for the year). I love this story! I can imagine the sad little patched up donkey on the tree and the fun it is to still see him hidden within it. Thank you for sharing. When I get home to my parents’ place for the holidays, I’ll take a picture of him for you!